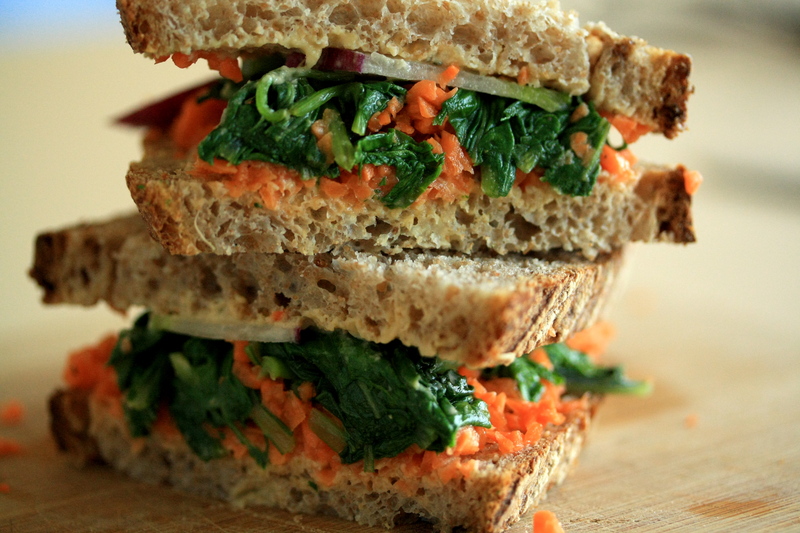 When I first became a vegetarian (*cough* pescetarian *cough*), I found it kind of challenging to pack a quick lunch for school every day because I couldn’t just slap a slice of turkey on some bread with cheese and be done. I eventually got tired of the soggy tomato-cheese combination, and it was a real treat when my mom would roast some red peppers and make me a mozzarella (or, even better, goat cheese), roasted red pepper, and basil sandwich on a baguette. 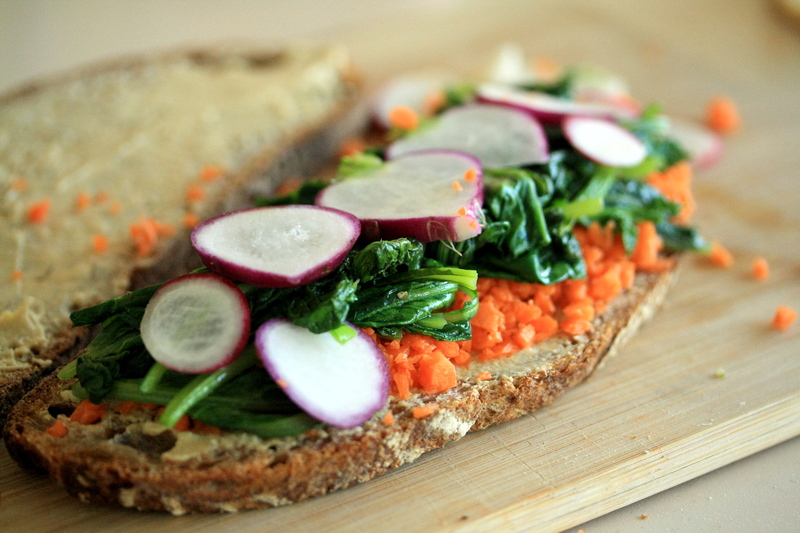 Today I had an idea for a vegetable sandwich made with stuff I had hanging around my apartment and some beautiful little radishes I bought at the farmer’s market yesterday. I don’t normally buy radishes because I find them a little bland, but they were so cute I just had to. Also, whenever I see the name “breakfast radishes” I get inordinately excited, probably because I am obsessed with anything breakfast, even though there is absolutely nothing breakfast-like about breakfast radishes. Wow, I wrote “breakfast” 4 times in that last sentence. 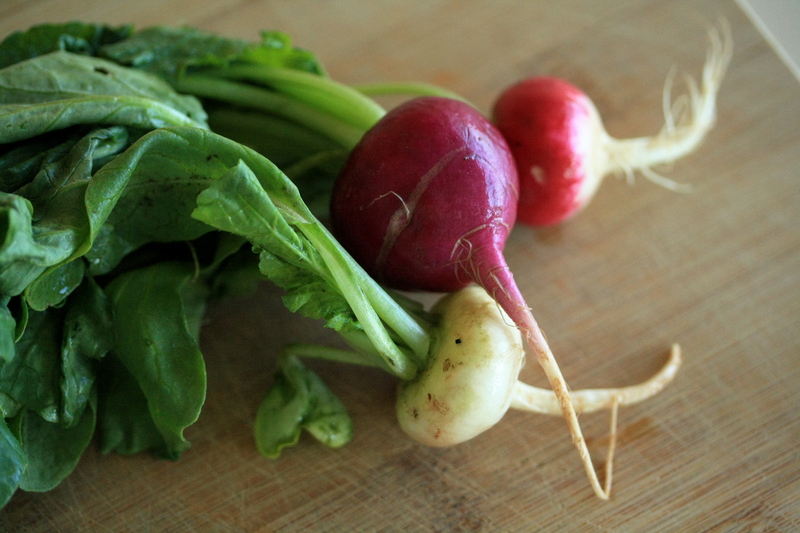 Cut the greens off the radishes and briefly sautee them in a pan, seasoning with salt and pepper. Slice the radishes. Grate the carrots or throw them into the food processor and process until reduced to shards. 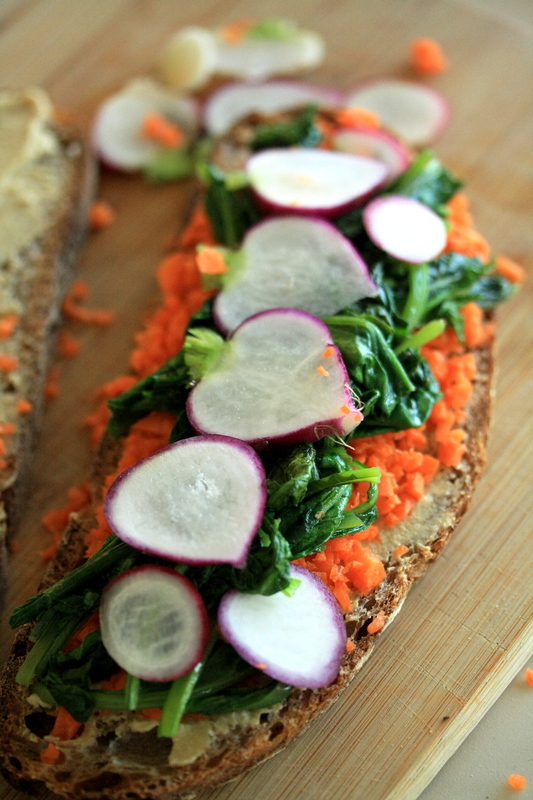 Spread both pieces of the bread with hummus, then top with carrots, sauteed greens, and radish slices. Makes one big sandwich.